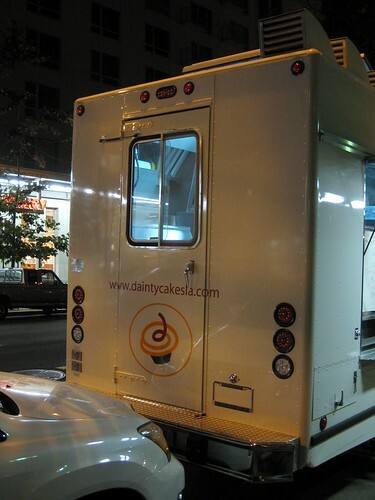 During an evening stroll one night, we happened upon the Dainty Cakes truck. How could we resist? They were right there, beckoning us. We got a strawberry-strawberry and a red velvet-cream cheese. 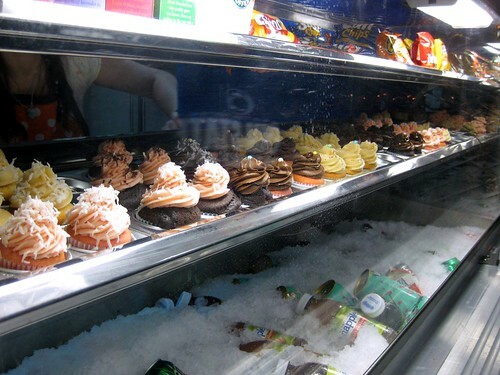 At $3 each, they were a bit expensive for their size, but I guess that's the price you pay for mobile desserts. Mr. Monkey preferred the strawberry. I really liked the red velvet, particularly the cream cheese frosting. Both cupcakes were light, airy, and not too sweet. Thumbs up. I love when places offer stamp cards. 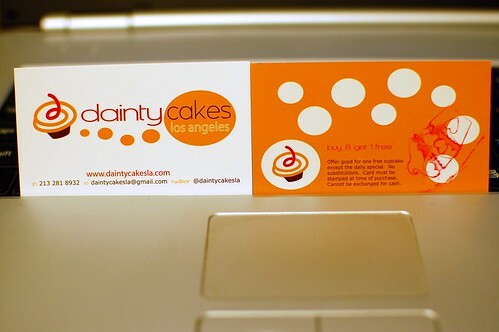 You can follow Dainty Cakes on Twitter to see where they'll pop up next. I'm crossing my fingers they come to our 'hood again soon. I need to seek out this truck at the next Art Walk. Good reporting, Rivers. Wow, yet another gourmet food truck that's sprung up here in LA! :) I had no idea about this truck either. Thanks for the review on this place. 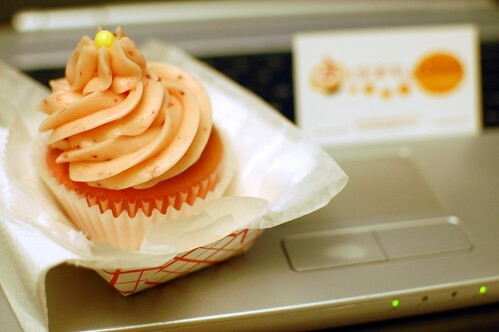 A cupcake truck is brilliant! Mother eff, of course we wouldn't have anything close to this....and I'm drooling. 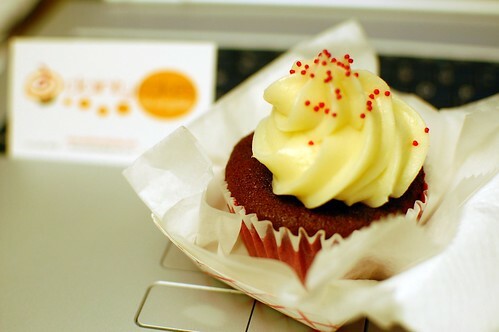 My cupcake of choice is also the red velvet with cream cheese. But I wouldn't object to also trying the double strawberry.